Maria comes from a well-known family of artists and musicians. She started to learn fine art at the age of 5 at The Hermitage Studio. Later she graduated from St. Petersburg State Academic Lyceum of Art, and in 2010 from the Russian Academy of Arts (a.k.a. Repin Academic Institute of Painting, Sculpture and Architecture), St. Petersburg. She has studied under the instruction of I. Uralov, N. Fomin and Eduard Kochergin. In 2006 she was commended by the Academic Board for composition. She has been active in more than 80 exhibitions and art projects ranging from traditional art to contemporary up until the end of 2015. 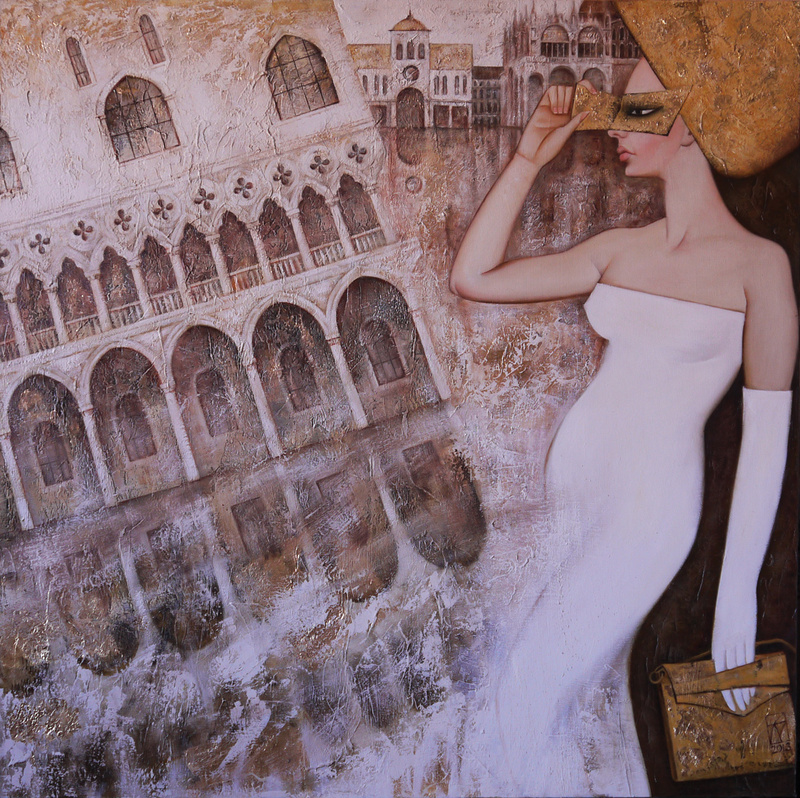 Maria has been a prizewinner of many international contests and exhibitions. She gives master classes on art in Europe and St. Petersburg. Her paintings were included in a book entitled “150 Works by Modern Russian Artists” (Moscow, 2007) published by the Russian Culture Fund. At present Maria’s works are shown at Dyagilev’s Museum of Modern Art (St. Petersburg), The Museum of Russian Art (Harbin) and at private collections in Australia, Belgium, China, France, Great Britain, Germany, Italy and Sweden. The Honors Diploma at “The Baltic Star” exhibition. “The Dialogue of Arts”. The Center of Arts “Four Seasons”, Rodos, Greece.